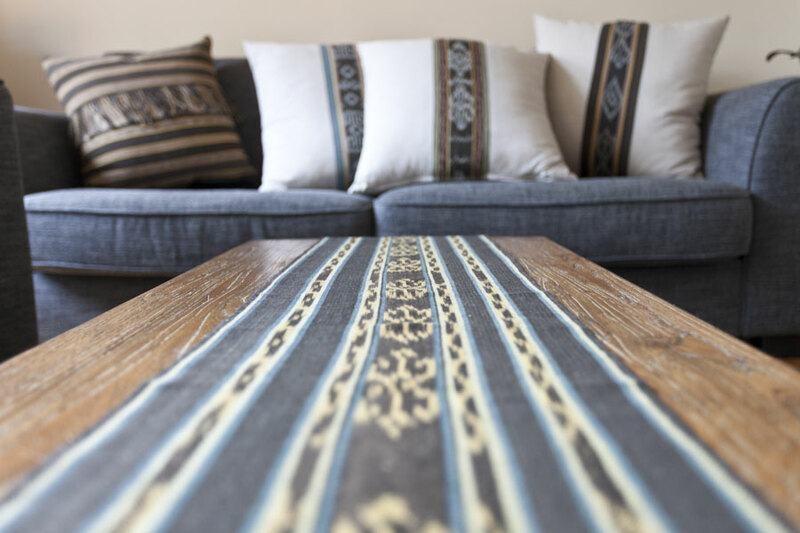 LO’UD textiles have their roots in local culture and environment. 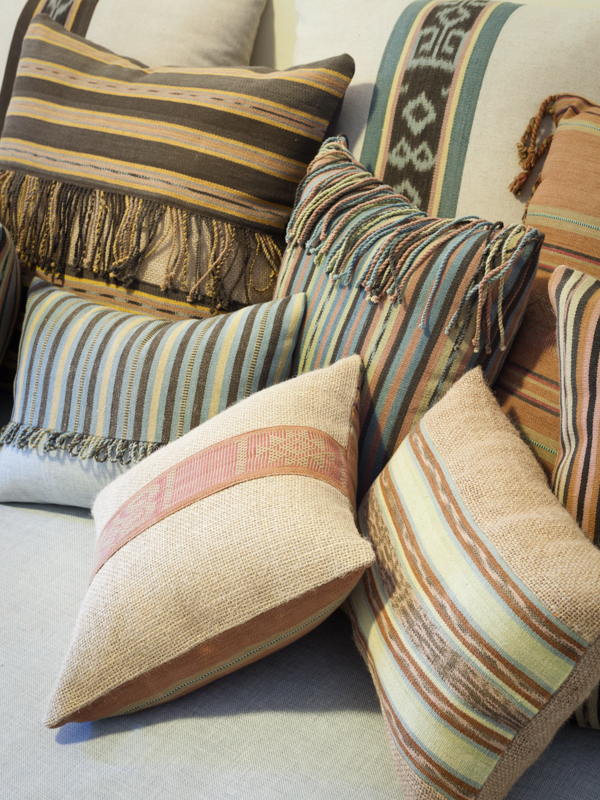 From the land to the loom; natural dyes deliver a palette of exquisite colours. Traditional motifs and weaving techniques are an integral part of each design. This fusion of culture and contemporary design produces unique textiles for ethical shoppers. LO’UD Cooperative members use simple back-strap looms, which are often fashioned with timber off-cuts, old twine and rice sacks. Each weaver has a small selection of cherished tools - like honed mortar and pestles and beaters - often handed down through generations. LO’UD women have highly developed skills of artisanship and creativity. Their participation in LO’UD elevates their status in their communities and firmly places weaving as legitimate cultural and economic activity, valuable to their day-to-day life. Importantly they join together as women, which as we know is beneficial to maintaining mental health. Futus is the meticulous process of creating designs by tying to form specific patterns before the yarn is dyed. The tied warp threads are immersed into dye mixtures, cooled and immersed again depending on the number of colours to be combined. Weavers who produce quality Futus are considered highly intelligent and gifted. Meli-Meli is floating weft technique used extensively by LO’UD Cooperative weavers from the highlands on the southeast coast of Timor-Leste. Intricate and time-consuming, the technique requires a high level of expertise and is used to add motifs such as flowers, stars and letters during the weaving process. Raw cotton is dyed using natural pigments obtained from local leaves, bark, roots, ash, mud and clay. All weavers have their secret recipe to create desired tones, be it brown, blue, green, yellow or pink, and a good dyer is seen to be a brilliant alchemist. The process can take from two or three days to a few months depending on the complexity of the tone and the number of colours to be combined. Colours are specific to the local environment and available organic materials. FAIR TRADE PRICING: Fair Trade makes a tangible contribution to the fight against global poverty and allows consumers to help protect the interests of producers. However other than coffee, there has been little focus on fair trade development in Timor-Leste. In 2011, we began work with LO’UD to integrate fair trade principles into their business model and textiles production. Our research resulted in the first fair trade pricing frameworks for textiles in Timor-Leste. We also gathered information and did comparative analysis of pricing from around the country, which showed that the majority of hand-weavers were earning less than 30% of the National Minimum Wage, some earning as little as fifteen cents per hour. The framework developed for LO’UD delivers fair incomes to Cooperative members. This significant outcome has positive implications for women all over the island. There’s always a great story behind any innovation. Both LO’UD and ETWA’s missions are to end poverty by empowering women involved in hand-crafts production. 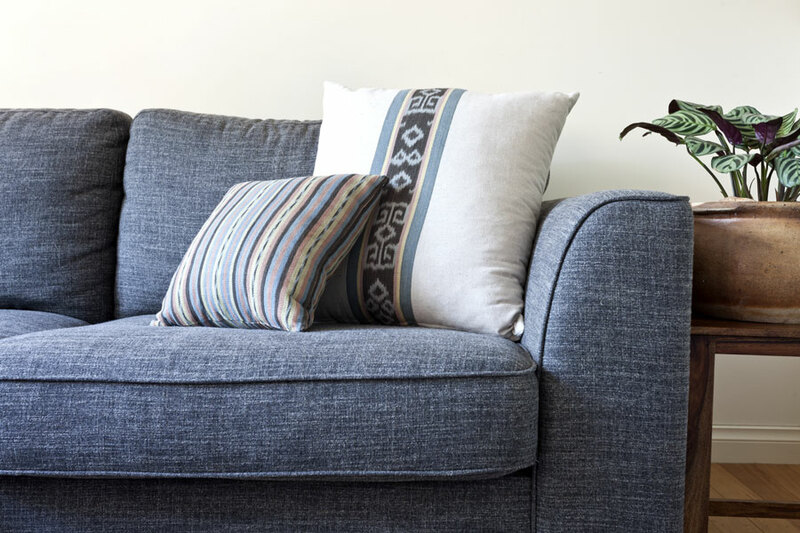 To help LO’UD members produce market-ready textiles while building on their amazing strengths as weavers, ETWA members used their expertise to develop a range of design, production and business tools. A perfect fusion! Click here to read our story. 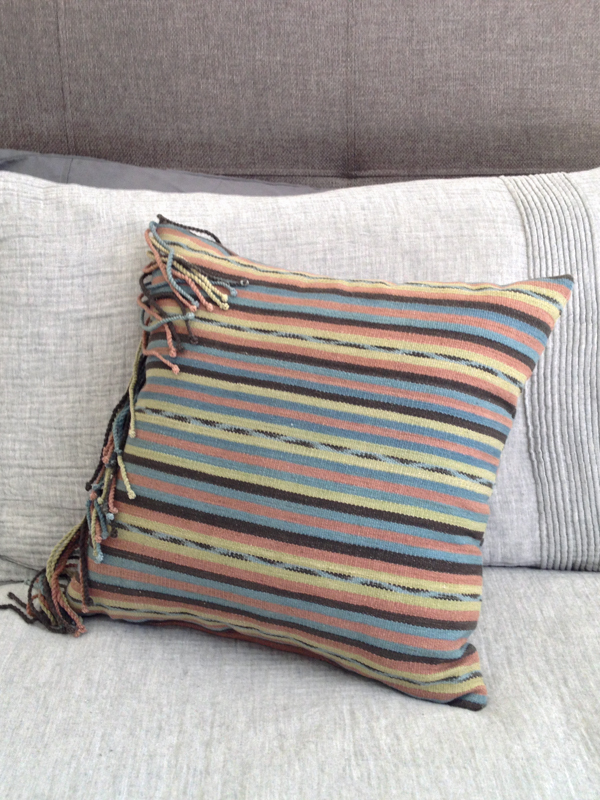 Please remember all goods are plant-dyed and hand-woven by weavers in Timor-Leste. Each textile is a unique expression of the personality and creativity of each weaver, and just like the women, size and colours vary slightly, making each individual textile equally unique! Natural plant dyes have a unique temperament and character. They are made from leaves, roots, barks and muds at the hands of master dyers. There may be natural variation in the finished colour of cotton within each textile and textiles within a range. They age in a beautiful way when kept out of direct sunlight, which can increase fading. 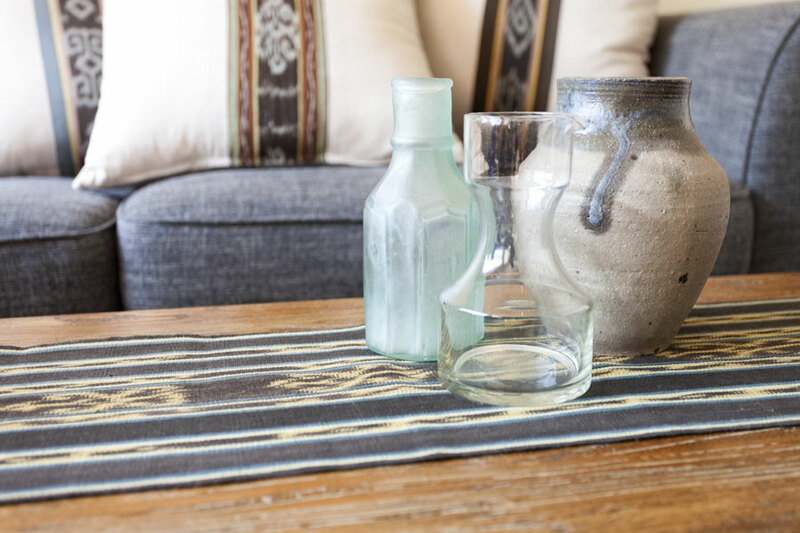 These textiles are best hand-washed separately with very mild, non-caustic soap in cool water. Dry flat in shade. ETWA takes no responsibility for shrinking or fading of textiles if they are not washed or cared for following our advice.